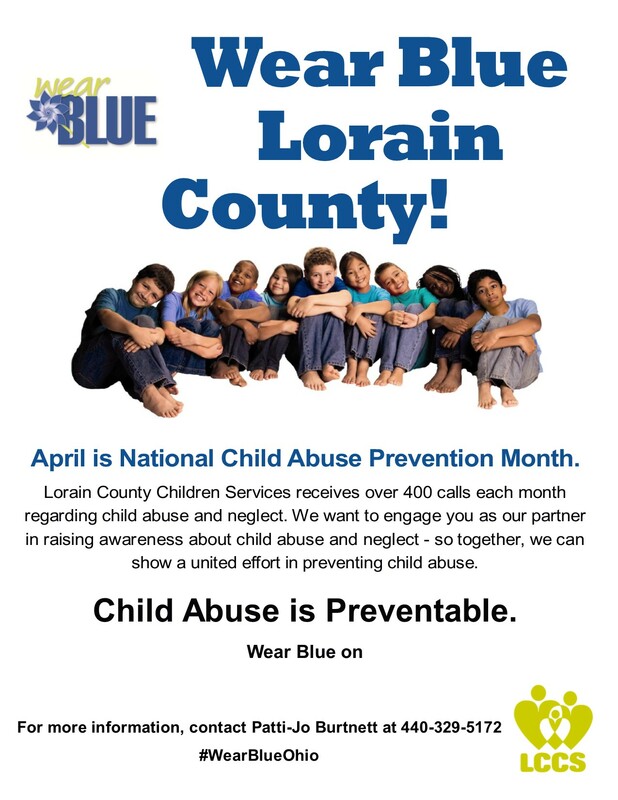 Are you looking for ways to promote Child Abuse Awareness Month activities at home, in your workplace, or with your organization or club? 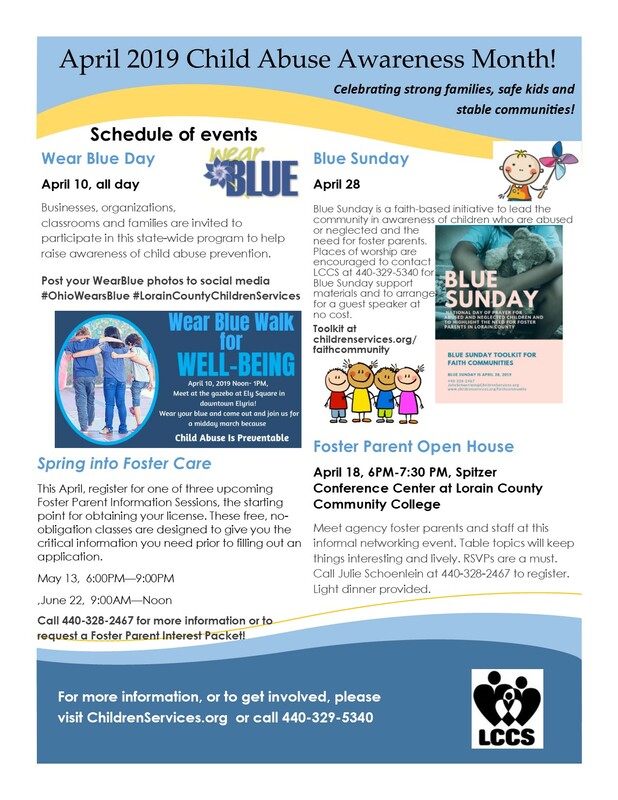 Share this flyer or choose one of hte specific events/activities listed and share it with your freinds, family and coworkers. For uptodate informaiton connect with us on Facebook! Month. 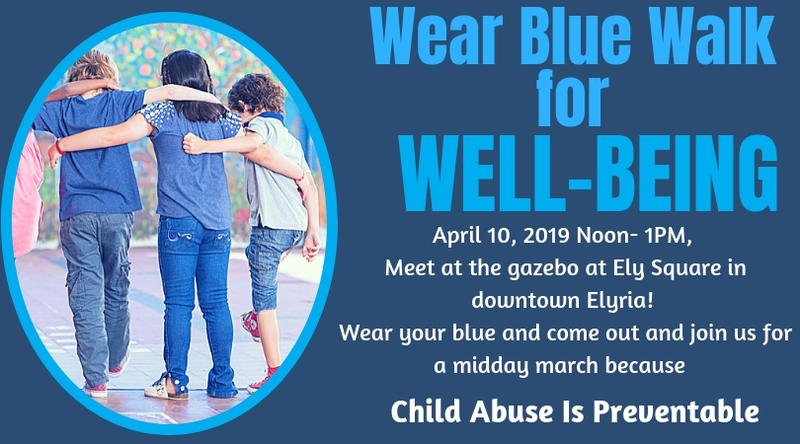 Ohioans are encouraged to wear blue that day – to work, to school, to a community event – to show support for preventing child abuse and neglect. All area families are invited to the 16th annual Rally for Kids! 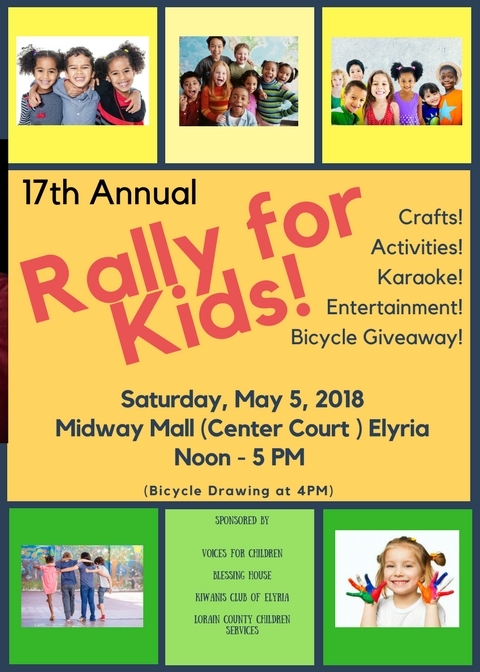 Family friendly entertainment, raffles, karaoke, giveaways and staff from favorite local agencies and organizations will make the Rally a fun day for everyone! Don't miss out!